Chris here and for my first Shadowboxing assignment I was fortunate enough to be able to quiz Xtrah, UK based DJ, Producer and head honcho of Cyberfunk Recordings. I wanted to understand a little about him, his music tastes and what drove him to want to start his own label. Chris: A few simple questions to get us started. What was the first Drum and Bass album you purchased? Xtrah: The first album I purchased on vinyl was the speed of sound on RAM records if my memory served me right! Still draw for a couple of the tunes in that now. Chris: Are there any individuals within DnB who have proved to be an influence on your production methods? Xtrah: I’ve been inspired by Dillinja’s rawness a lot. I’ve always loved Breaks drum work and Noisia sound design, these guys have definitely made me think about what I’m doing when writing a track but I also have lots of inspiration outside of DnB. Chris: Which studio hardware or software are you enjoying using the most currently? Xtrah: It’s a split between UAD and Slate Digital at the moment. They are both so good! Chris: Given the choice are there any songs out currently that you would love to remix? Xtrah: Anything by Kendrick Lamar. Chris: How is your time split on a monthly basis between studio and DJing? Xtrah: DJ’ing once or twice a week and studio 3 days max at the moment! I have a pretty hectic schedule at this point in time. All for a good cause though. Chris: Who outside of your current genre(s) would you like to spend some time in the studio with and why? Xtrah: Quincy Jones or Trentmoller. Quincy for the mixdowns and recording techniques and Trentmoller for his synthesis techniques. Sorry I couldn’t choose between them. Chris: If you were asked to curate a festival/event. Who would you choose for three headliners (no genre limitations)? Chris: How do you spend your downtime when you aren’t in the studio or on the road as a DJ? Xtrah: I’m a family man, I have two children that I love spending time with taking swimming and just out to fun places in general, or I sleep to recover. Chris: I’d like to cover a few points in greater detail. I first became aware of your work in 2012 via one of your Critical Recordings releases, Soundclash. Since then your release schedule appears to have been very fluent, with a steady flow of quality releases across a selection of some of the labels at the forefront of the genre. How has the journey been from your perspective since your first release in 2010? Xtrah: It’s been really cool doing what I do, I’ve had the pleasure of traveling around the world playing music that I love and meeting all sorts of people some of whom I’ve created close friendships with and none of this would have happens if it wasn’t for the music. I’m really honoured that I get to see so many unique places and play in so many cool clubs across the globe. It’s really humbling! Chris: For someone not familiar with your work, which tracks from your back catalogue would you recommend? 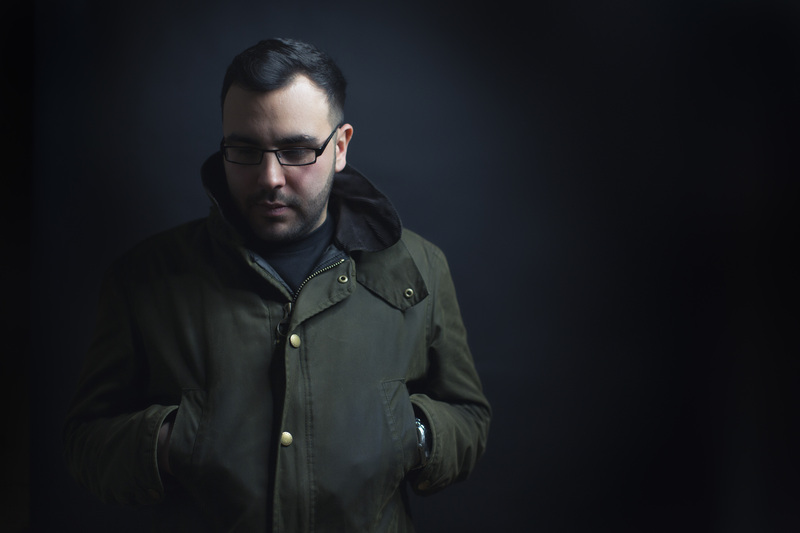 Xtrah: My first releases were on RAM records with a friend if mine called Basher. I made 5 tracks with him for his album (Ed. Note: 2011’s Transmission LP) so alot of people took notice when they saw this. After that I think one of the singles I made that people should be aware of is Contortion/Arise on Subtitles my first solo 12″. I was so proud when I signed this! Set the Levels was another release I was real proud of…I learnt a lot when making it and it had a great response from the scene. Soundclash/Discordance on Critical…if you haven’t seen the Soundclash video you should check it! Dogs doing parkour, mad! So yeah, there’s a few of my releases I would recommend having a listen to get an idea of what my style is. **Editor’s Note: Here’s the vid…I love basset hounds. Chris: I feel that a large group of your releases fit in perfectly with the sound or style of the releasing label. Is this a conscious decision on your behalf when writing the tracks or does it just happen at a later stage? Xtrah: Totally! I write something and like to place it where I feel the followers of that label will enjoy it most. That’s the benefits of not being exclusively signed I guess. I had several goals coming into this and have achieved them now hence why I want to start my own label, this is something that I honestly feel will help me grow as an artist in myself because now I have to create a sound for my own label! Exciting stuff indeed. Chris: What made you decide to create your own label (Cyberfunk) and how did the name come about? Xtrah: I just wanted freedom to do what I please really, I’ve been doing my research for a long time on how to start a label and make sure you’ve got all the angles covered (he says!). I’ve never felt freeness like it as I’ve always had to think about what if X or Y doesn’t like this etc… As I said now I have the chance to create a sound for the label. I love cyberpunk art and movies and I wanted to incorporate that with everything I love about DnB the breaks/funk/grooves etc, so Cyberfunk felt like the perfect way to describe what I want my sound to be. Futuristic but holding in to everything that is dear to drum and bass. Chris: Can you give us a summary of your vision for the label? Xtrah: I would love to turn into a branded label with a strong team of forward thinking producers but this will not happen over night if ever so for now I just want to put our good music that I love whether that’s from previously discovered artists or newcomers. If I’m into the music and believe in it I will release it. Chris: What excites you most about the label and the releases you have planned? Xtrah: Everything! That aspect of me having full control in what happens is absolutely amazing and why more producers haven’t done this yet is beyond me. Maybe I will eat my words in a couple if years, sign a deal and make music on one record label for the rest of my career in DnB or maybe we will be signing people in ten years time for them to release albums with us. That’s what’s most exciting. The unknown! I’d like to send massive thanks to Xtrah for taking the time out to answer these questions, particularly as he is in the middle of Cyberfunk’s first UK and Europe tour to celebrate the upcoming debut release. Two huge lineups in late March across London and Brighton respectively have seen Xtrah joined by the likes of Dillinja, Break, Skeptical and Total Science. CLICK HERE to check out the some fantastic photo’s from the London Cyberfunk event as well as details on the first release and other upcoming tour dates. I know that I can’t wait to get my hands on the new release, so if you want to pre-order and hear samples of the tracks, CLICK HERE!